Content marketing is an essential part of any marketing plan. Whether you want to add substance to your website, landing page or email campaign, content marketing is your gateway to better marketing. 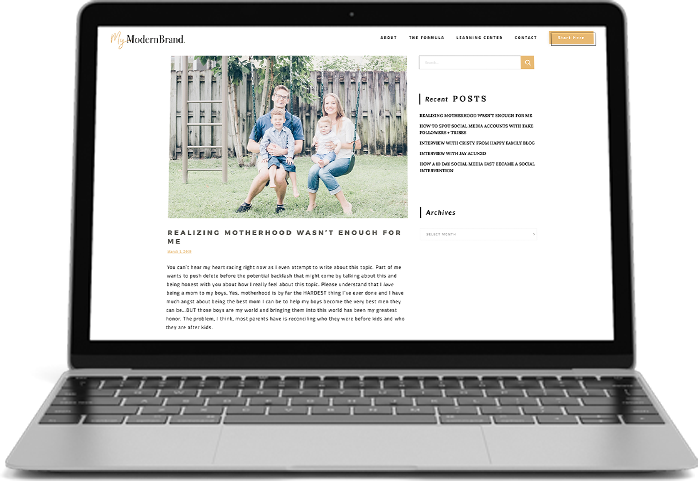 ModernMarca helps you utilize this effective way to get your brand message out into the world through carefully tailored blogs, articles, whitepapers and more. Increase the amount of time people spend on your website with quality content to build familiarity, trust and higher conversion rates. Gain higher visibility on search engines with seo-optimized content that targets long-tail keywords and topics that your customers search for frequently. Boost conversion rates with content that is informative and strategically pitches your product or services. Build relationships and improve your brand reputation with authoritative content that your customer or client finds useful, informative or enlightening. With all of these benefits, it’s clear that content marketing is a must-have in any balanced marketing strategy. Target your content marketing the right way with ModernMarca. We’ll ensure that your blogs, articles, whitepapers and more are SEO-optimized and brand-optimized, so that you’re able to communicate your brand story effectively, spread the word across channels and build the modern success story that you deserve. It’s not the noise that you are competing against that’s standing in the way of your success. It’s the noise that your brand is unintentionally making - all in the name of good marketing. Learn the top five reasons your marketing efforts haven’t paid off as much as you’d like them to and how to turn the tide.